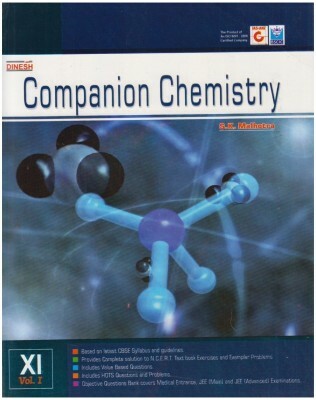 Dinesh Companion Chemistry Class-XI (Set of 2 Books) is a collection of two books for students of standard XI studying in schools affiliated to the Central Board of Secondary Education. The book consists of chapters which cover the entire N.C.E.R.T prescribed syllabus in detail. In addition, the book consists of several value-based questions and multiple choice questions for thorough practice and revision. This book is essential for students preparing for various engineering entrance examinations. About S. K. Malhotra S. K. Malhotra is an Indian academic author and educationist. He has authored books like Super Simplified Science Chemistry Class-IX (Term I & II), New Millennium Physics Class – 12, and Super Simplified Science Chemistry Class – 10 (Term – 1 & 2).